Cyberbullying refers to bullying which is carried out using the internet, mobile phone or other technological devices. Cyber-bullying can take many forms. It can take the form of exclusion, defamation, intimidation, impersonation. Set your profile to “private” so that you can control who has easy access to your information. Use discretion when putting pictures (or any content for that matter) on your profile. Your friends might think that picture of you acting silly at the party last night is hilarious, but how will your parents or a potential employer react? Don’t add people as “friends” unless you know them in real life. Just remember that these people have open access to all of your posted content and information. You may be held responsible for inappropriate content on your profile that is in violation of the Terms of Service or Acceptable Use Policies of the Internet Service Provider or website(s) you use. For example here is the Terms of Service for Facebook https://www.facebook.com/legal/terms. Never give out your passwords – always keep your passwords and PIN numbers to yourself, and make a habit of logging out of your email/Facebook page if you’re using a public computer, including those on campus or in halls of residence. Pick your friends carefully – remember whatever you post online can be seen by everyone who’s got access to your page or the discussion board. If it’s Facebook, only make friends with people you’re ok sharing information with. Use Netiquette – be polite to other people online. Think about what you’re saying and whether it might be hurtful or embarrass them in public, even if it’s funny. Don’t send a message to someone else when you’re angry – wait until you’ve calmed down and have time to think. Once you’ve sent it, you can’t take it back. Be careful about where you ‘check in’. If your account is not set on private and a previous check in ‘at home’ along with a post that you are heading away for the weekend with friends, can be useful for burglars, they know your address and they know the house is empty. Most of us are on on the internet a lot these days, and it’s a pretty sociable place to be. You can chat to people on the other side of the world, find out major news on Twitter first, share music, blogs and videos of sneezing cats/fainting goats. We want to encourage everyone to Think Before You Type no matter what the situation. We all need to think before we type in terms of response, intervention and to prevent bullying behaviour. If a photo or video that you feel violates your privacy is posted on a website, you should contact the up-loader directly using the sites message function. Sometimes they aren’t aware that you feel uncomfortable with the posting of the content. If you can’t contact the up-loader or they refuse to remove the content in question, you should notify the website owners of your concerns. If the content is illegal or goes against their terms and conditions, they will remove it from the site within a reasonable amount of time. The first thing you should do if you are having issues with content on a social networking website is report the matter to the website owners. You can use the website reporting tools to do this, for example you can click report photo to an offensive photo on Facebook. If you are experiencing difficulties with other Social Networking Sites not listed above, you should contact the site administrators directly for advice and assistance. If you are experiencing difficulties with other operators not listed above, you should contact your operator directly for advice and assistance. If you are experiencing bullying or harassment through a social networking service (SNS) and you are encountering difficulty in reporting this behaviour, your internet service provider may be able to assist you in providing information on how and where you can report such abuse. Please remember that bullying or harassment occurring on an SNS is a matter for that SNS abuse team. In the first instance it should be reported to them using their online complaint facility (usually a “report abuse” button that appears on the profile display or a link at the bottom of the page). If you feel you are being victimised online and are a target of cyberbullying, you are not on your own and do not need to face it on your own. Don’t keep it to yourself, talk to someone about it whether it’s a roommate, class mate lecturer or Student Union officer. There are people who want to help and can help. If you’re feeling overwhelmed, you might find it helpful to talk to a counsellor. It’s also important to ask for, and accept, support from your family if you can. If you feel you need to talk to someone outside the situation, call Samaritans on 1850 60 90 90 (Ireland) 0845 790 9090 (NI&UK). Your Students’ Union is there to help you; visit their website, call into their office or send them and email or text. Call into your local Students’ Union for some advice, support and referrals to other support services on campus. PleaseTalk.org is a useful source for students, just select your college and identify what services that are available that they might want to access. 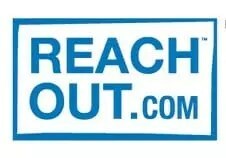 Provide support to the person being bullied and include list of support services. Information on supports is available at the end of the guide. Stand up to the bully, because no reaction is often interpreted by the bully as approval or encouragement. If you see bullying behaviour online, put yourself in that situation, what would you want someone to do to help? If you do intervene, be mindful not to engage in behaviour that is offensive to either the victim or the bully. Get involved with our campaign! Have a look at our Student Guide to Cyberbullying and learn how you can help.